Contains sample exam papers for Edexcel AS and A Level exam preparation. This work also includes a revision planner and checklist as well as a fully worked examination-style paper with chief examiner's commentary. 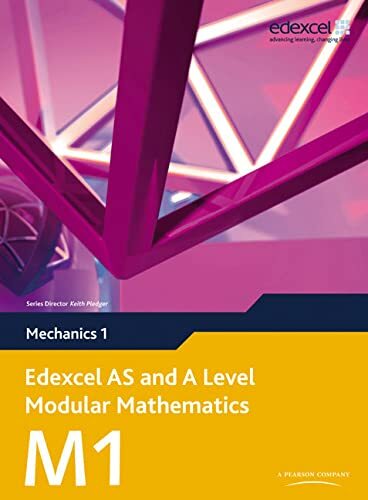 Edexcel and A Level Modular Mathematics M1 features: Student-friendly worked examples and solutions, leading up to a wealth of practice questions. Sample exam papers for thorough exam preparation. Regular review sections consolidate learning. Opportunities for stretch and challenge presented throughout the course. 'Escalator section' to step up from GCSE. PLUS Free LiveText CD-ROM, containing Solutionbank and Exam Cafe to support, motivate and inspire students to reach their potential for exam success. Solutionbank contains fully worked solutions with hints and tips for every question in the Student Books. Exam Cafe includes a revision planner and checklist as well as a fully worked examination-style paper with examiner commentary.